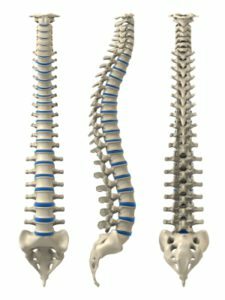 You may already be aware that Chiropractic is a healthcare profession, specifically interested in the application of certain techniques to remedy a variety of disorders such as back pain, joint pain and muscle aches. But what are these “certain techniques”, and what exactly is encompassed by the phrase “healthcare profession”? Firstly, Chiropractic is defined as a “primary healthcare profession, concerned with the diagnosis, treatment and prevention of mechanical disorders of the musculoskeletal system and the effects of these disorders on the function of the nervous system and general health”. This means that we investigate your overall health, and then focus specifically on the joints, muscles and bones of your body to evaluate how they are causing you pain or stopping your body functioning the way it should. As a primary healthcare profession we are responsible for your overall health – not just your back pain, but also factors such as blood pressure and signs of infection or other illness that can be detected through our thorough consultation and examination. While Chiropractic is not necessarily able to directly affect these other factors, we nevertheless need to identify they are present, recognise how they might impact our treatment plan and if necessary ensure you get the care you need as soon as possible by referring you to the relevant healthcare professional, such as your GP. You do not need a referral from anyone to visit a Chiropractor and therefore we as Chiropractors have a responsibility to make sure you receive the absolute best care possible for your whole health. Every Chiropractor has spent at least 4 years studying how the human body functions, gaining an in depth knowledge of the anatomy, physiology and microbiology which keeps us all going. We are then able to apply this knowledge to recognise when the system has broken down in some way. This may be through a strained muscle, a dysfunctional joint or simple wear-and-tear.